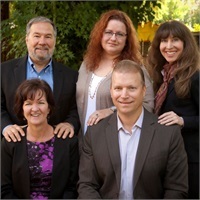 Sonoma County Wealth Advisors brings together the practices of Joyce Financial Management of Santa Rosa and Weise Financial Services of Rohnert Park. The principals, Thomas “Tif” Joyce and Ken Weise, have joined forces to better serve their clients and the surrounding community with a shared conviction that “The whole is greater than the sum of its parts.” (Aristotle). Ken and Tif and associated team members are dedicated to providing the best available choices for your planning and investment needs, and believe in applying the best practices of the financial industry – diligent data gathering, prudent tax management, thoughtful estate preparation, adherence to rigorous compliance standards, and independent research methods- to helping you achieve your goals. A word about trust- we believe open, honest communication is the cornerstone of any successful relationship. We are honored that so many of our clients have been with us for so many years, and we look forward to the opportunity to be of service to you.